There are several interpretations for the name. It is probably named after the district of Teroldeghe in the municipality of Mezzolombardo (Trento). After a second variant, it is derived from the German name "Tiroler Gold" and after a third from the tarsenote. The very old variety comes from the Rotaliano plain, after the (and after the variety) today the DOC area Teroldego Rotaliano is named. It was already in 1480 in a sales contract in Trentino and subsequently mentioned in other documents such as the Trento Council (1545-1563). The wines were very popular at the time of the Habsburg monarchy at the Viennese court. 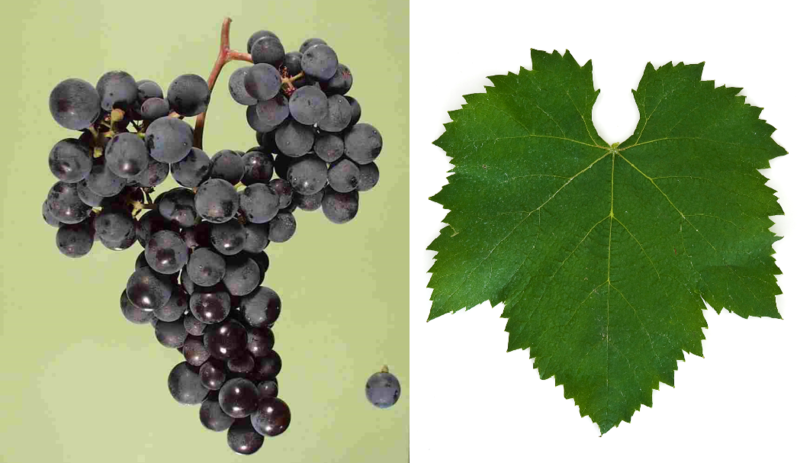 The mid-late ripening vine is prone to fake and genuine mildew, It produces deep-colored, fruity red wines with soft tannins and aromas of black cherries. The variety is mainly in the region of Trentino Alto Adige, as well as in Veneto and under the name Merlina in the Lombardy cultured. The cultivated area in Italy covers a total of 839 hectares with an upward trend (ten years earlier it was 682 hectares). Other stocks are also available overseas California (33 ha), Brazil (10 ha) and allegedly also in New Zealand, In 2010, a total of 839 hectares of vineyards were reported (Kym Anderson ). This page was last modified at 11 December 2018 at 10:58.